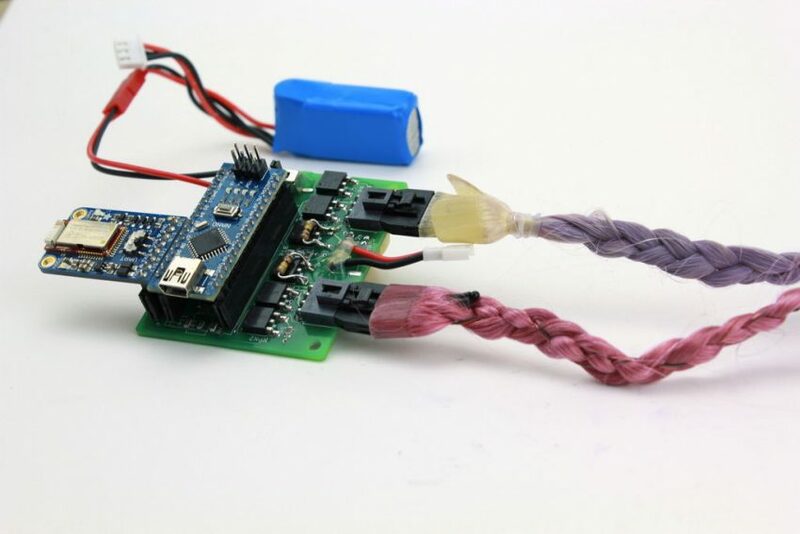 How to Make an Amazing Hair Extension With Tech #WearableWednesday #wearabletech #Arduino #DIY @Instructables « Adafruit Industries – Makers, hackers, artists, designers and engineers! Another exciting wearable project has emerged from UC Berkeley’s Hybrid Ecologies Lab, and this time it centers on hair. Arduino recently posted about HäirIÖ, a color and form changing hair extension that is equipped with Bluetooth. At first glance you may think it looks like Katia Vega’s Hairware, but this extension is capable of chameleon tricks along with the connectivity. 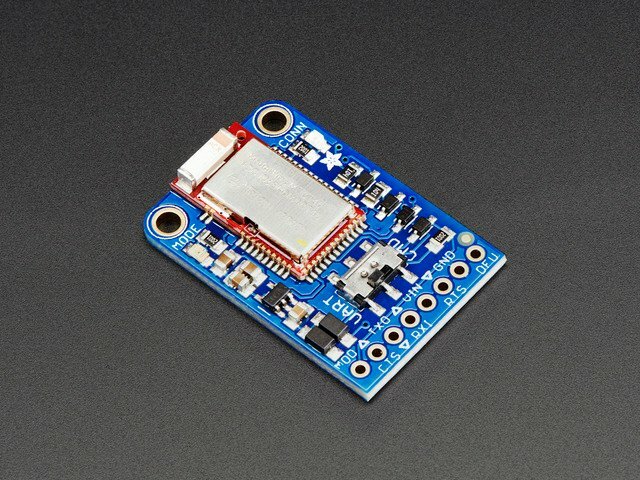 An Arduino Uno, a custom board and an Adafruit Bluefruit LE UART Friend form the foundation of the electronics. The extension has super powers thanks to a coating of thermochromic pigment and nitinol wire. So, heat can trigger color change and movement. The hairpiece can be controlled through a device and it can also respond and send signals using capacitive sensing. So far things are a bit bulky due to the boards and batteries, but since this is a prototype, things are bound to get smaller. The research team has created a detailed Instructable including parts, Disney-like touch circuity and pigment painting techniques. So, if you want to make a wearable that doesn’t require a wristband, this could be the one. Sending raised braids to the team at Hybrid Ecologies Lab for this amazing exploration of color and touch.